We first released essential website tools for the Food & Drink industry back in 2013. Now, as more customers visit a restaurant’s website before dining there, it’s even more important to stand out online. So, we’ve deepened our platform to include new, powerful ways to get customers trying your culinary creations. With our new ChowNow integration, you can offer delivery and pickup options right on your website: Simply connect your ChowNow account to add an ordering menu. It slides in without taking customers away from your site, letting your brand shine. In fact, restaurants with strong brand identities, like Pok Pok LA and Seoul Sausage Co., have already added ChowNow to their Squarespace sites. Completing your full online business suite are some Squarespace tools that have stood the test of time, like our social integrations, which include Yelp, Instagram, Facebook, and more. Eating and drinking involves all the senses. More often than not, we begin with our eyes. 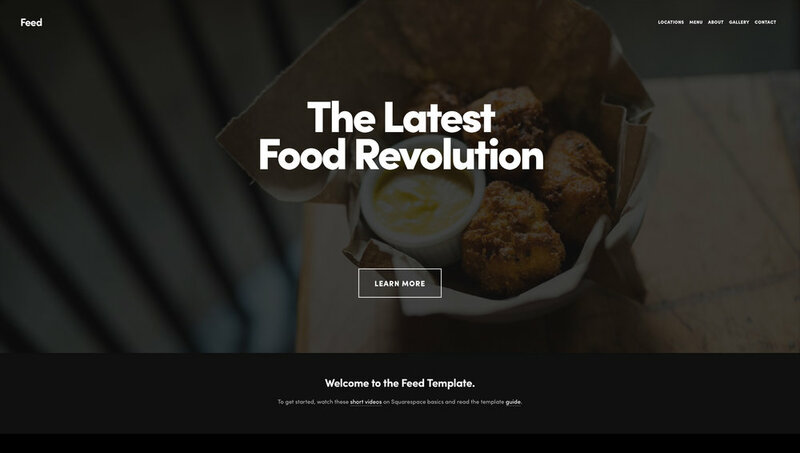 Introducing Tremont, Hunter, Foster, and Feed: Highly visual and immersive templates new to our Food & Drink collection, which you can browse here. 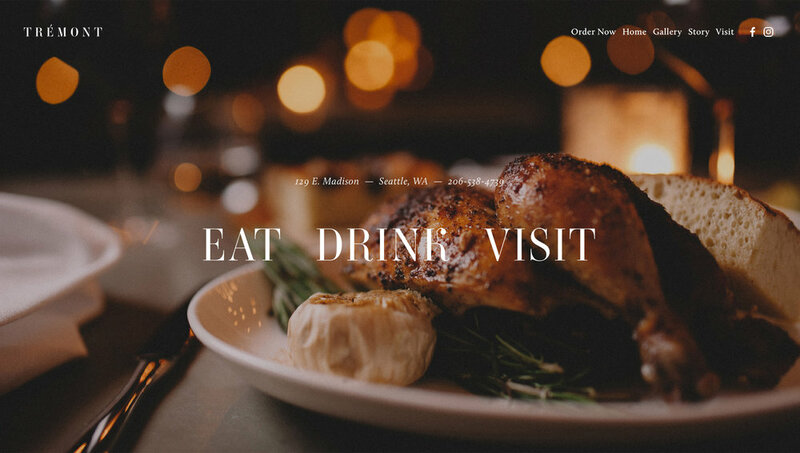 All the tools you need are included with any Squarespace plan, whether you're opening multiple restaurant locations, offering cooking classes, starting a food blog, or launching an online store for homemade jams. In the kitchen, even the finest tools have to be sharpened and maintained. We have the online part covered for you. Ready to grow your business? Learn about our ChowNow integration here and explore Squarespace for Food & Drink here. Our award-winning Customer Care Team is ready to answer any questions, any time, from anywhere.